There is so much buzz about employee engagement these days…and there is good reason. It is time to move beyond satisfaction and start discussing how to create an engaged workforce. Happy employees does not automatically translate into engaged employees. Satisfaction is a state of being and contextually provides more of a reference point that is in the past. 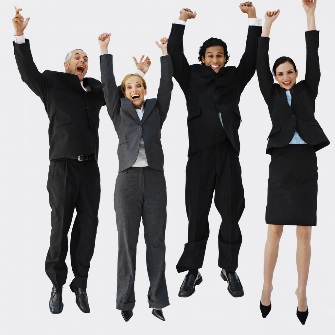 Engagement refers to an employee’s emotional commitment to their organization and the organization’s goals. It is this emotional state of engagement that allows us to create connections that move organizations forward. Basically the difference between creating a satisfied workforce and an engaged workforce is that of being static or moving forward. Low employee engagement not only affects employee performance, it increases employee turnover, lowers customer service satisfaction and increases absenteeism. Engagement is complicated to measure because engagement is a feeling. However, you can’t manage what you can’t measure so it’s important to create a plan to measure such an important driver of organizational success. Measuring employee engagement allows organizations to identify profiles of what engaged employees look like as well as to identify opportunities to improve levels of engagement. Measuring engagement is only the first step. The second step is to communicate the results with the employees and the final step would be to act on the results. “The goal is to turn data into information and information into insight”- Carly Fiorina.